A selection of some of the most imaginative work of post-graduate architecture students from London schools is currently on display at a gallery in Tottenham Street. Curated by The Architecture Foundation the exhibition contains drawings, models and graphic imagery that engage with placemaking and regeneration. Game City on Canvey Island, by Kate Lynham. MArch University of Greenwich 2014. 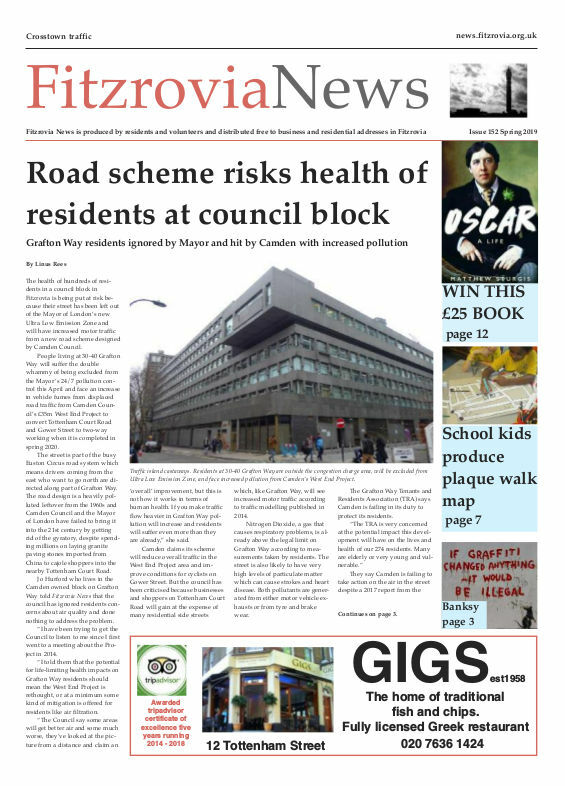 Photo: Fitzrovia News. Eleven students display theoretical and speculative designs, re-imagining cities from London to Freetown. 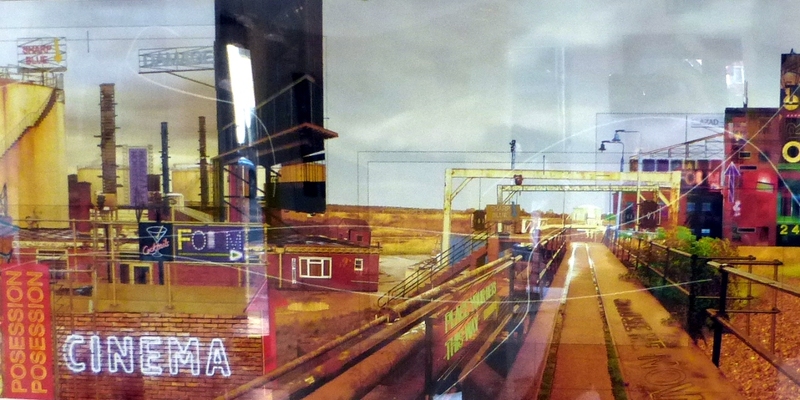 A collection (pictured) by Kate Lynham presents an alternative future for the oil city on Canvey Island in Essex. In a post-information age a ludic land rises from the Thames marshes and its inhabitants become players wandering freely. Futures in the Making, 13-28 November 2014, open Tuesday to Friday from 1.45pm to 6pm, Feilden Clegg Bradley Studios, 20 Tottenham Street, London W1T 4RF. Admission free.